Edward J Trapido, ScD, FACE, is Professor and Wendell Gauthier Chair for Cancer Epidemiology at the LSU School of Public Health and the Stanly S. Scott Cancer Center (SSSCC), where he leads initiatives in cancer control and etiologic research. 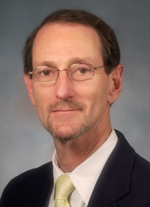 He directs the Louisiana Cancer Research Consortium (LCRC) Population Sciences research program, a joint initiative involving the SSSCC, the Tulane Cancer Center, and Xavier University. Dr. Trapido also serves as the Deputy Director for the Stanley S. Scott Cancer Center. Focused on strengthening interdepartmental research at the LSU Health Sciences Center, Dr. Trapido serves as senior advisor to the deans of school of public health and of medicine. Prior to joining LSU, he was Professor and Acting Division Director for the Department of Epidemiology and Public Health at the University of Miami School of Medicine, where he also directed the doctoral program in Epidemiology, the HIV-AIDS Surveillance Program, and the Global Research and Evaluation Center. His leadership experience includes appointments at the NCI as Deputy Director for International Cancer Control in the Office of International Affairs and as Associate Director of the Epidemiology and Genetics Research Program within the Division of Cancer Control and Population Sciences. In addition, he has co-chaired of the Trans-NIH Tobacco and Nicotine Research Interest Group and served as Senior Advisor to the Director of the International Agency for Research, in Lyon, France. He has been a member of the steering committee for the 2006 NIH State-of-the-Science Statement on Tobacco Use: Prevention, Cessation and Control, which was part of the NIH Consensus Development Program and of the National Academy of Sciences/Institute of Medicine Committee on Secondhand Smoke Exposure and Acute Coronary Events. His degrees include a Master’s in parasitology from the University of North Carolina, and both a Master's and Doctor of Science in Epidemiology from Harvard. Prior to joining the faculty at the University of Miami, Dr. Trapido was a staff fellow in the Division of Cancer Etiology at the NCI and, before that, as instructor in environmental health and community medicine at New York's Downstate Medical Center. His primary areas of research interest are tobacco prevention, cancer prevention and control, especially in minority and underserved populations, and program evaluation.